Sweden is one of the most desired countries in the world for foreign jobseekers. If you are expatriate looking how to get a job in Sweden, this guide will explain you the most important aspects of job seeking in Sweden: where and how to find a job, which are the most attractive cities for foreign jobseekers and how to get a valid residence / work permit for non-EU citizens. You will also get an important information about average salaries, job requirements, and benefits of jobs in Sweden. 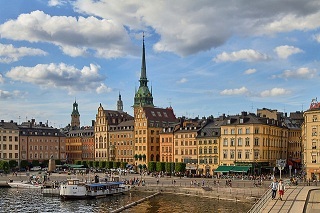 Working conditions in Sweden are amongst the most attractive in the world, but getting a job in this country as an expat is not so easy as it seems, especially because there is a high competition from domestic and foreign jobseekers already living in Sweden. Swedish workers with low skills required are usually well paid while high educated employees are low-paid compared with some countries in Western Europe or the United States. Beautician - in-demand profession in Swedish beauty salons, day spas and beauty shops. Painter Mix, match, and apply paint to surfaces. Wages for a painter in Sweden are much higher than in many other countries. Teacher - one of the most attractive jobs for English speaking job seekers in Sweden is an English teacher. There is a high demand for English teachers, especially by an international schools and some universities. Sales agent - in-demand profession, especially for retail companies in Sweden. Masseur works on a one-on-one basis with clients, so interpersonal skills are essential. Masseurs in Sweden usually are self-employed. Medical occupations in Sweden, like medical doctor, therapist, surgeon, dermatologist, are amongst the highest-paying jobs in Sweden. Production worker there is a high demand for production workers in main industries in Sweden, such as motor vehicles, pharmaceuticals, industrial equipment, home goods, iron and steel. In the majority of EU Member States, there is a statutory minimum wage, which varies greatly from one member state to another. Sweden is an EU Member State where there is no social minimum wage and where the minimum wage is set in collective agreements. According to many international reports, satisfaction with an ability to choose profession, change a job, quality of life, and possibility to accumulate overtime for days off or special bonuses in Sweden are at a higher level than EU average. Foreign job seekers interested to work in Sweden have many available resources for job searching, from local and international job search engines and aggregators, to local employment agencies and recruitment companies. The best option for job seekers who don’t reside in Sweden is to search for a job using job search engines, job boards and listings or job aggregators. By using these resources you will find many job opportunities where expats are eligible to apply. Job aggregators, such as Indeed, SimplyHired or CareerJet, will enable you to find all job openings for foreigners in Sweden at one place. This includes job boards and many company websites in Sweden. If you use job search engines and job sites for your online job search, use the advanced search form, so that you can conduct a specific search which includes terms like job title, career fields, profession categories and more to generate useful job listings. There are many attractive job opportunities for expats in Sweden, so the best chances to get a job is to apply for a job that fits your profession and skills. Because of high salaries and good working conditions, great number of foreign nationals are interested to move and work in Sweden, so you must count on strong competition among jobseekers. Employers in Sweden recruit the largest number of foreign workers in the following industries: motor vehicles, pharmaceuticals, telecommunications, industrial equipment, home goods, iron and steel, forestry, engineering services, agriculture and more. There are some regulated occupations in Sweden, such as auditors, medical doctors, nurses, pharmacists, teachers, veterinarians and more. If your occupation is one of those and you are foreign national looking for work in Sweden, you will need the right qualification recognized by the Swedish Council for Higher Education (UHR). UHR evaluates foreign qualifications in order to provide support for foreign nationals seeking for a job in Sweden and for Swedish employers who wish to hire expats. Sweden is a Scandinavian country with a total area of 450.295 km2 (173.860 sq mi) situated in Northern Europe with a population of about 10.000.000. Sweden shares land borders with Norway and Finland and it is connected to Denmark by a bridge-tunnel. Sweden is the third-largest country in the European Union by area. 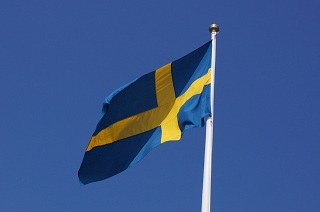 The official language is Swedish, and the official minority languages are Finnish, Sami, Romani, Yiddish and Meänkieli. English language is also used as a business language in international companies situated in Sweden. About 30% of the population have a foreign background (born abroad or born in Sweden with at least one parent born abroad). 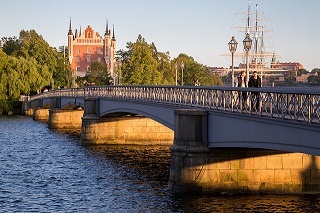 Foreigners are often attracted by great job opportunities and high monthly salaries in Sweden. The largest communities of immigrants in Sweden are: Finnish immigrant community, Sami community, immigrants from the Middle East – mostly from Iran, Iraq, Lebanon and Syria. There are also many smaller communities of foreign nationals from European countries outside the European Union. 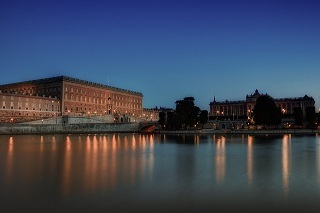 The majority of foreign nationals resides and works in Stockholm (capital and the business hub of the country), Gothenburg, Malmö, Uppsala and Västerås. The official currency in Sweden is the Swedish krona (SEK). Monthly salaries are paid in the official currency for all workers in Sweden – Swedish residents, foreign nationals and cross-border commuters. Workweek in Sweden is Monday-Friday, with some retail stores also opened for a few hours on a Saturday, rarely on a Sunday. Typical daily number of work hours for a full-time job is eight a day and 40 hours a week. Part-time jobs in Sweden usually take 2-4 hours a day. The largest employers in Sweden are: Volvo (vehicles), Ericsson (telecommunication), H&M (clothes), Ikea (furniture), Nobia, NorthStar (Lead-acid batteries), Nordiska Kompaniet, Odd Molly (clothes), Onoff, Sandvik (engineering), SAS Group, Saab Automobile (vehicles), SIBA (retail sector) and many others. EU and EEA jobseekers, as well as Swiss jobseekers, don’t need a work visa or work permit to apply for jobs in Sweden. But if they intend to stay longer than 90 days, they must go to the local authorities to declare arrival and intention to stay. If a jobseeker is a non-EU citizen and coming to Sweden to reside and work (longer than 90 days) it is required to obtain a residence permit. Obtaining a residence permit usually requires a lot of paperwork and effort. It is an employer’s duty to apply for an employee’s work permit by completing an offer of employment. In this offer he will include your name, citizenship, date of birth, your education level and e-mail contact. After employer gets an opinion from local union organization, employee will receive an e-mail with instructions to complete his/her part of the application. For the first 24 months, the work permit is only valid for the employer and the job that are specified in the document. The work permit will no longer be valid if the employer changes its organization registration number, or if you change an employer or your job duties, or even if the working conditions change. In those cases, expat must submit a new application for a work permit. After the first 24 months and the first work permit extension in Sweden, foreign employee may change employer without submitting a new application as long as the employee works in the same occupation.